Autodromo Internacional do Algarve, Portimao. A clockwise confluence of dramatic undulations and blind crests leading into cambered corners. 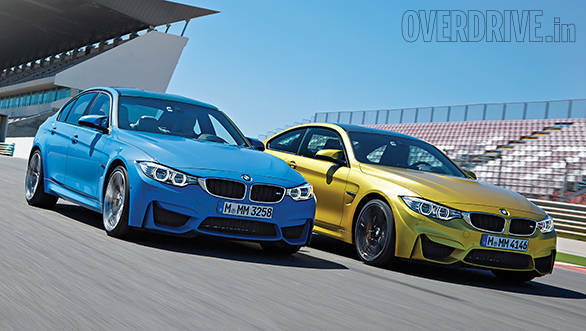 The pit lane has BMW's newest M babies, the M3 and the M4. They are same car effectively and the new nomenclature can be attributed to BMW's system of segregating all their coupes and cabriolets into even numbered series - 4 Series, 6 Series, M4, M6 and so on. But it isn't about the names. 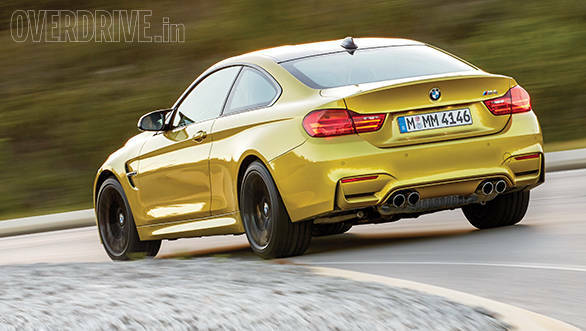 The real transformation to the M3, however, comes thanks to a change of heart  not a welcome one for everyone. 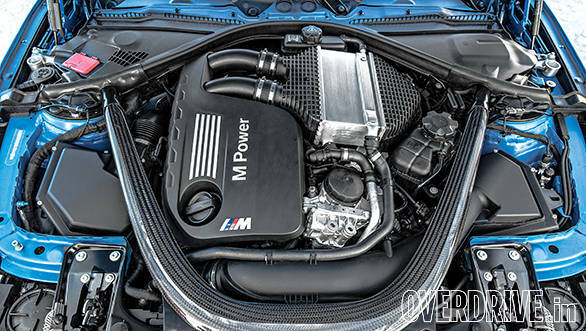 The engine bay of the new M3 and M4 is no longer home to the wailing banshee of a high-revving, naturally aspirated V8 engine. It's been superseded by a seemingly timid 3.0-litre straight-six with two petite turbos, in tune with the global trend of smaller, more fuel efficient and less polluting engines. Although smaller in capacity, the new engine boasts slightly more power than the bigger V8 engine at 431PS. But that's barely noticeable when compared to the increase in torque brought about by the forced induction  at 150Nm, it's increased by 38 per cent. Also, instead of peaking at 4000rpm, it plateaus from 1850rpm to 5500rpm, translating to an instantaneous punch from the engine in this rev-band. 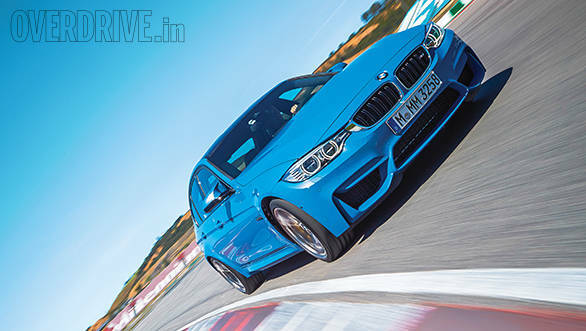 To ensure it revs high and fast, the M55 engine that powers the M3 and the M4 comes with a closed-deck crankcase with forged crankshafts, modified pistons and arc sprayed cylinder linings. Even the cooling system has been designed to endure track-like conditions, ensuring the M55 revs all the way up to 7800rpm  a feat that evades even the new Ferrari California Turbo that can manage only 7500rpm. So the new engine is significantly more powerful, efficient and greener, and 10kg lighter than its predecessor too, thanks to weight saving alternatives like the magnesium oil sump. But the pièce de résistance are the two turbo chargers. Unlike other turbocharged engines that use larger variable-geometry turbochargers, BMW employs two smaller fixed-geometry turbochargers that force induction into three cylinders each. Reduced inertia and the direct, precise induction render the term 'turbo lag' obsolete. Moreover, the ECU injects bits of fuel into the cylinder when you lift off the gas to keep the combustion active, so that the turbos keep spinning at 120,000rpm. When you step on the gas, you get instantaneous power. Touching the red line in the erstwhile M3 was almost therapeutic, but in the new M3 and M4 you'll find yourself using the mid range far more. The power now comes with a loud throaty grunt rather than that hair-raising induction roar and metallic exhaust note M3 lovers love. The new voice is not any less impressive but it is different and melodious! Surprisingly there's hardly any turbo whistle. The clever bit of engineering is the introduction of a butterfly valve which, upon engaging the sports plus mode or frantic acceleration, allows the exhaust gases to bypass the muffler creating a riot of a sound. The BMW seven-speed dual clutch transmission is immediate to transmit the flick of your fingers on the paddle shifters to higher gear engagement. The drive shaft is part of this magic and is a super strong hollow carbon fibre unit that does away with the central flange  making it lighter while eliminating torsional and transmission losses. 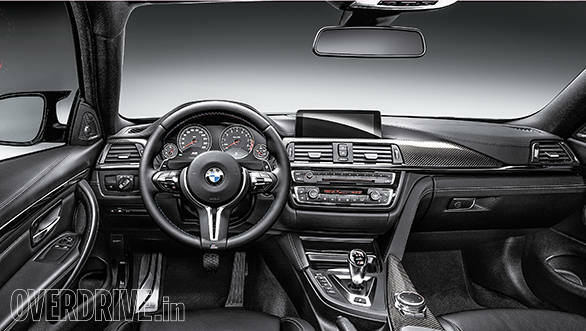 This allows staying in a gear for longer, but in the likely event that you need to short shift, the M3 and M4 will match each other's performance whilst surpassing the E92 M3 as well as the current M5 and M6. Naught-to-hundred is claimed at a fraction above 4 seconds while top speed is limited to 250kmph. With a claimed fuel efficiency of 12kmpl and emission of 194g of CO2 per litre, this progression from natural induction to forced induction seems inevitable. But these now are two cars with two names. Are they the same? The added 23kg of the two rear doors in the M3, and the marginally lower centre of gravity in the M4 owing to the lower roofline would make one assume that the dynamics of the two cars differ largely. But they don't. To better the handling and dynamics of the M3 and M4, BMW relied heavily on weight saving and making the chassis as stiff as a ramrod. So they've welded the sub-frame to the unibody, eliminating the bushings that linked them. 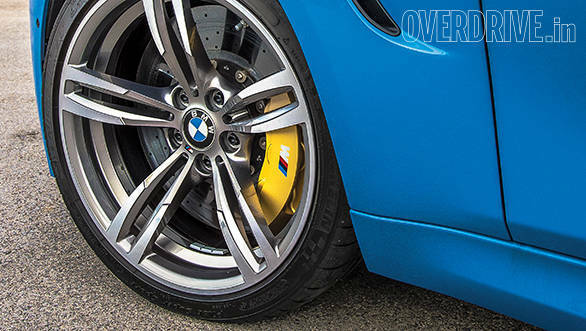 The restricted lateral and torsional movement along with a fantastic electronically controlled limited-slip differential, the optional carbon-ceramic Brembo brakes and the sticky Michelin Pilot Supersport tyres make the new M3 and M4 even better handlers than their predecessors  and that's saying something! From driving your family around town to pulling massive power slides at will  all you have to do is ask nicely. 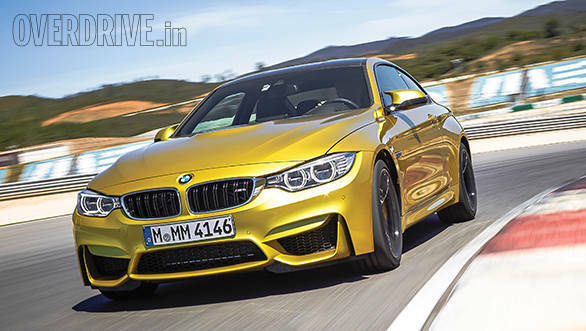 The new M3 and M4 also get an electro-mechanical axle mounted rack and pinion as the steering system. We love the fact that the engineers chose a smaller, lighter motor that reduces the assistance to the steering. As a result, the steering warrants some effort even in comfort mode, especially in the final 20 per cent of each opposite lock. So while parking might not be as effortless as in a 3 Series, it will be a delight for those who value brilliant feedback from the steering mechanism. Beside the obvious addition of two doors in the M3 and the sloping coupe-ish roofline in the M4, the most apparent difference between the two is the boot-lid design. It was also the biggest design challenge faced by BMW. The aerodynamicists insisted on maintaining identical aerodynamic properties for both body forms and this posed a unique problem specifically for the M4. Air flows smoothly over a coupe's boot while the sudden drop in a sedan's roofline creates a vacuum over the boot, causing a downward pull. To fix this, they suggested a boot with a spoiler, which the design team refused to resort to. Instead, the two divisions met halfway with an unpainted carbon-fibre-reinforced-plastic boot-lid that incorporated a duck-tail spoiler. The M5 and the M6 are like the big bullies  huge and massively powerful. The M3 and M4 are like the athletes, adequately powerful, extremely agile, some one who could fit into the masses when they'd want to, but stick it to the bullies when they had to. They aren't as fiery and frantic as the C63 AMG either. Moreover there's the added practicality of the four-door sedan too. We can expect these two to come to India by the end of this year at an excess of a crore. So between this brilliant new engine and electronically controlled dynamics, the new M3 and M4 are exactly what you want them to be.